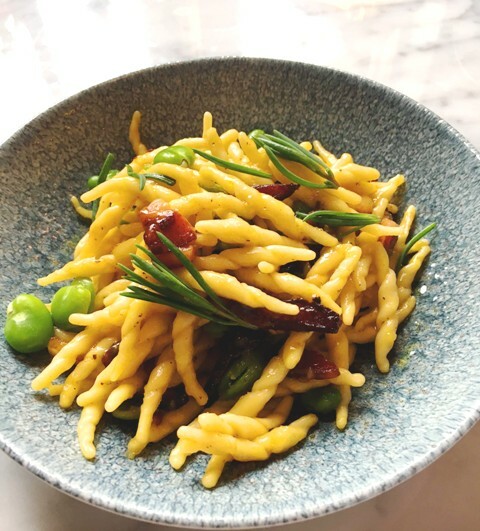 Well spring is here and we’ve added a lovely new selection of fresh pasta dishes to the menu at Contini George St. We’re serving them in the classic Italian tradition of small starter plates that are perfect to go as part of a selection of other starters. Or if you really really want, the team will cook a main course plate for that ultimate carbohydrate kick. Our ravioli is freshly made every morning with our own ricotta that we are now making fresh in the kitchen three times a week. How exciting. And from next week the sage for the sage butter will be coming direct from the kitchen garden. Delicious. Trofiette pasta are a very delicate Ligurian pasta that we’ve managed to source fresh from Italy. 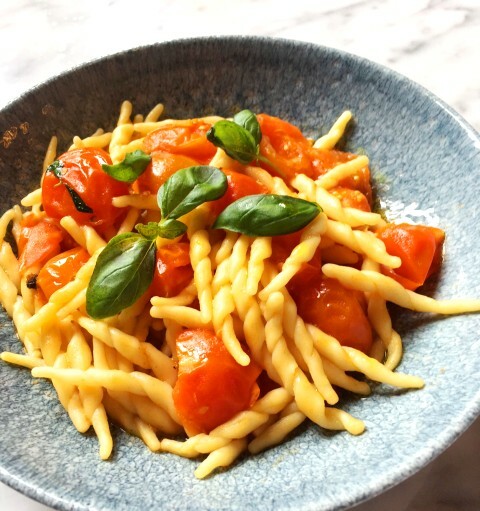 We’re serving with our classic fresh Pachino tomato, garlic and basil sugo. Tasting just like summer was around the corner. Gnocchi con Vongole. We can never be sure winter has passed so a few gnocchi will always be needed to fill a comfort gap. Try with fresh clams and pesto alla genovese. A cosy comforter. Carbonara, but not as you know it. We’re using the trofiette pasta as it’s so much easier to share, guanciale (the classic smoked pigs cheek using in this dish, Sacha Grierson organic fresh eggs, pecorino romano and to lighted a few blanched fresh new season broad beans. Fantastic.